A lot of people are not satisfied with the density, thickness of their eyebrows. There are many who desire thicker and ampler eyebrows, following today’s fashion trend. The development of scarce, incomplete eyebrows may have various causes. According to the fashion trends of the 90s, narrow eyebrows enjoyed a preference, and the lastingly removal of hairs often by drastic methods resulted in the thinning of hair. As a consequence of this, in the majority of cases, irreparable damage was caused, the injured hair follicles have been unable to produce hair in the original density. However, the incompleteness of the eyebrows may also be connected to genetic factors, but they may also be a part of the natural aging process, or the result of an illness, medical treatment. Eyebrow transplantation is considered to be a relatively new procedure, however, it enjoys hugely intense interest among both men and women. With the help of the transplantation we can restore the density of damaged, or incomplete eyebrows, with this providing anew appearance for our face. Eyebrow transplantation is an unparalleled procedure, since the new eyebrow shape is developed to fit the face-type, facial features of the specific patient. The transplantation of two eyebrows at our clinic costs 1500€. 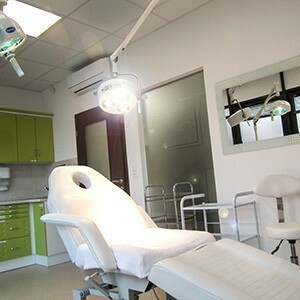 If You are interested in eyebrow transplantation, please, contact the staff of our clinic, who are gladly at Your service. In the course of a personal consultation, You can receive an exact, personally tailored price offer. Eyebrows are determining, characteristic parts of the face. With a well-designed eyebrow shape we can magically make our look more harmonious, we can refine our facial features, make our appearance more aesthetic. In the course of the procedure, we extract the pieces of hair to be transplanted, together with hair follicles, one by one, by means of special instruments, then we implant these to the incomplete area, according to the shape of the eyebrows that we plan with the participation of the patient while taking his/her desires into consideration. After the procedure, with the passing of a few months, the transplanted hair follicles will produce new, healthy pieces of hair. The transplanted grafts retain their characteristics gained in their original location, and they will grow the same way as non-transplanted hair. 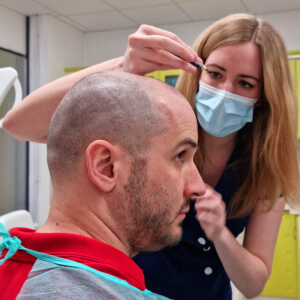 By the application of the FUE method, or its further developed even more precise method versions, there is an opportunity to achieve an extraordinarily natural looking end result. Since the hairs are transplanted one by one, it becomes possible to shape harmonic eyebrows that most closely suit the patient’s wishes. Our award winning S.H.E. transplantation method, won the honorable title of Service of the Year in 2013, based on the opinion survey by GFK,conducted with the participation of 2000 people! In the interest of natural appearance, the thorough planning of the new eyebrows’ shape is very important. Every tiny detail plays an emphasized role in the development of the eventual look. What does eyebrow transplantation mean? Eyebrow transplantation means, that we can achieve a new eyebrow shape by the transplantation of the eyebrows’ hairs and with this we can influence the appearance of our face in a positive way, our look can become more youthful and open as well as and friendlier. What kind of complications may occur in the course of the procedure? 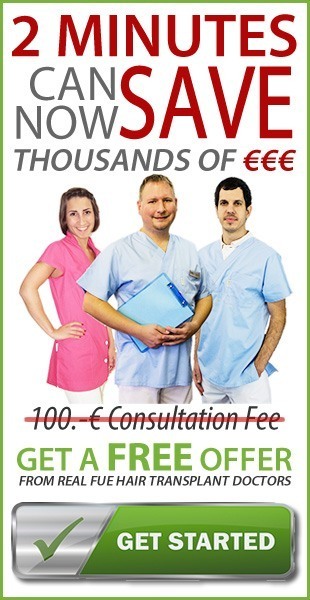 The personal consultation before hair transplantation is free of charge. 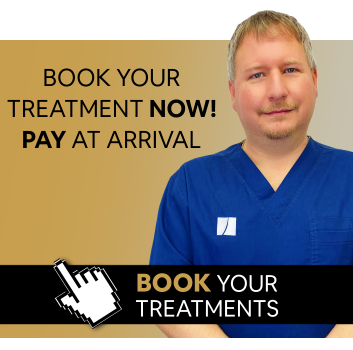 Please contact us and request an appointment for a free consultation.The techniques of extracting pieces of hair and transplanting them is based on the application of special micro surgical instruments, therefore we are talking about a very mild surgery. Who is eyebrow transplantation not recommended for? The procedure is not recommended for those who suffer from trichotillomania (compulsive hair ripping), and those who are susceptible to keloid scar formation. Will the result be permanent? Will the transplanted hairs indeed grow? The result of eyebrow transplantation leads to long term, even hair growth, just as in the case of the original pieces of hair. 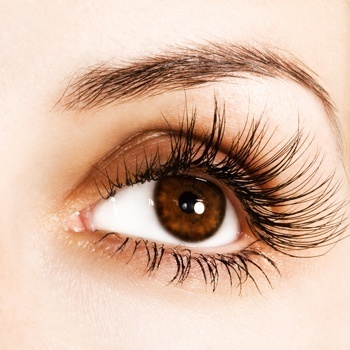 Where do you extract the hair from, that is necessary for eyebrow transplantation? The extraction of donor pieces of hair depends on individual attributes to a great extent. In the case of partial incompleteness, when only one of the eyebrows needs restoration, we can extract the donor hairs from the other, complete eyebrow and transplant these into the incomplete one. There are cases when both eyebrows need correction. The cause of this may be a genetic flaw, an illness or even compulsive hair ripping, trichotillomania. In these cases, pieces of hair located in the scalp can serve as donors. When can the result of eyebrow transplantation be seen for the first time? The transplanted pieces of hair begin to grow shortly after the transplantation. However, by 3rd to 5th week following the procedure the implanted hairs fall out. Subsequently to this, actual hair growth will commence approximately 2 months after the procedure, and about 10 months are necessary for the final result to become visible..
How naturally appearing will the result of eyebrow transplantation be? The transplanted hairs will grow in a natural manner, just like the original ones. In this way, the result will have a completely natural effect. In the case of hair follicles extracted from the scalp, it may occur that the transplanted pieces of hair will be capable of stronger and longer growth than the original ones. However, that can be easily evened out, if we shape our eyebrows from time to time by shortening them uniformly to the desired length. How many grafts, or pieces of transplanted hair will I need? In reality, the number of grafts to be transplanted may be different in the case of every patient. In general, it can be stated that the amount of hair greatly depends on the extent of the incompleteness of existing eyebrows, and what individual desires the patient has. 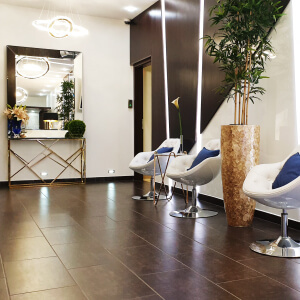 In the course of a personal consultation, taking these factors into consideration, the physician who will perform the transplantation assesses how many pieces of hair will be necessary for the transplantation in the case of the specific patient, to achieve the optimal result. The procedure is performed with the application of local anesthesia, thus after the injection the patient doesn’t feel any pain at all. Minor discomfort may occur after the effect of the anesthetic wears off, however, this can be alleviated by using painkillers. How long does the transplantation of hairs take? The procedure takes approximately 2 to 4 hours. Just as hair transplantation, eyebrow transplantation is a meticulous process demanding a high level of precision, since the transplantation direction of the eyebrows’ hairs, their positioning the correct angle as well as their appropriate distribution requires a high degree of concentration.